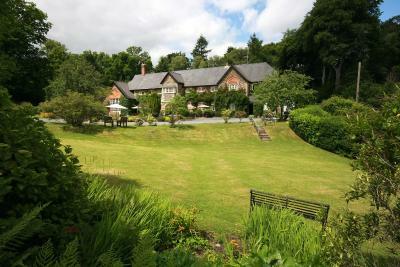 Lock in a great price for The Edgemoor Country House Hotel And Restaurant – rated 9.1 by recent guests! The hotel feels comfortable from the moment you enter the reception door, with a warm greeting and friendly staff. The food is excellent and well portioned and the selection of beers and gin in the bar was excellent. Service was some of the best I’ve ever experienced. Always do professional, polite, cheerful and considerate. Well done! We got, by chance, Room 10. 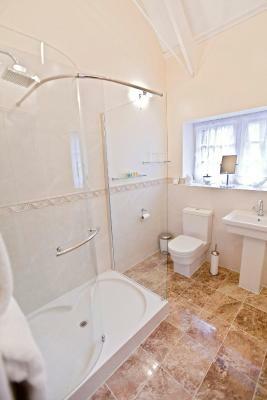 It's large with an enormous 4 poster bed and massive bathroom which has a large shower and seperate big bath. Furnishings are in keeping with the history of the property. Bedding is of a good quality and a decent wall-mounted tv is fitted (not that you'll want to spend your time watching tv). The restaurant is relaxed and the menu is ok but a little limited. Food itself is very good. 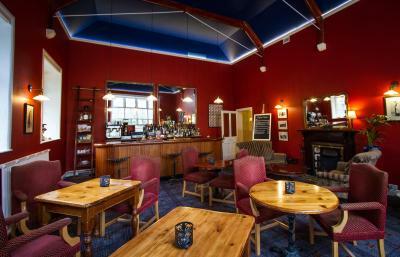 The bar and lounge is spacious and we can recommend the cream tea! Overall, a good value break can be had here and we would return...not something we say lightly in reviews. 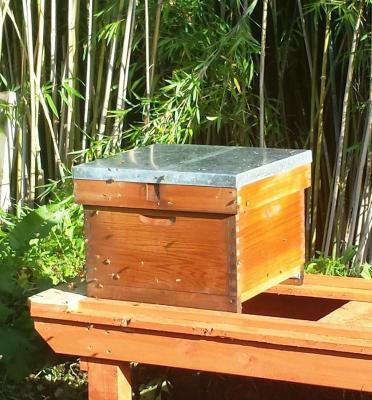 All facilities were exceptional and the staff was extremely helpful. The location was wonderful for us as we were attending a wedding at Colehayes Park across the road. Very nice and warm welcome, absolute perfect room we were in (Nr. 3) Vistas, garden and very well kept house left us loving the place. There is literally nothing to quibble about - The Edgemoor was a simply outstanding experience for us and we will definitely be returning at the first opportunity. The staff were helpful, polite, charming, knowledgeable and funny - there’s probably more glowing adjectives to describe them but those do them justice. The room was just unbelievable. Literally unbelievable. 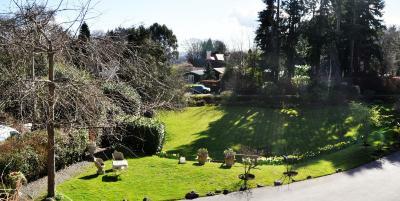 Four poster King Bed, walk in shower, complimentary sweets, great garden views. Again I could go on but that paints the picture. Finally, the food was just perfect - your only worry will be choosing what delicious thing to eat (highly recommend the chocolate and pistachio brownie). Overall, an absolute hidden gem - we cannot thank our hosts enough and will definitely see them in the future. 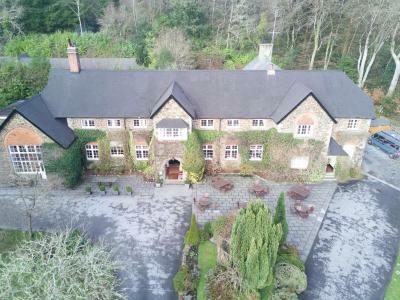 The Edgemoor Country House Hotel And Restaurant This rating is a reflection of how the property compares to the industry standard when it comes to price, facilities and services available. It's based on a self-evaluation by the property. Use this rating to help choose your stay! 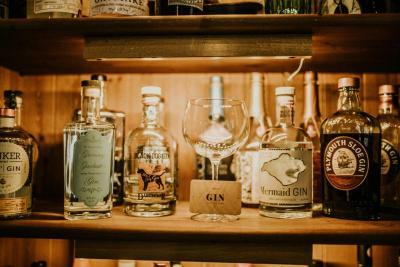 On the boundary of Dartmoor National Park, less than 3 miles from the A38, this elegant Victorian country house boasts an award-winning restaurant, fireside bistro and an extensive wine list. In a haven of tranquility, surrounded by its own immaculately kept grounds, the hotel is only minutes away from the many famous Tors and villages within Dartmoor. The coast and the major cities of Exeter and Plymouth are within easy driving distance. Built in the 1870s, the house was once Bovey Tracey Grammar School. The house has since undergone substantial tasteful renovations and now features a mixture of both traditional and contemporary style interiors, which complement the historic Victorian architecture and enhance the warm friendly welcome and attention to detail. 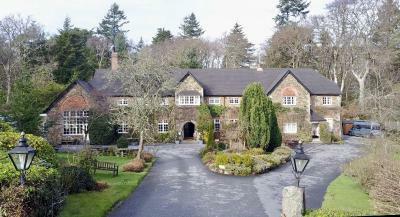 When would you like to stay at The Edgemoor Country House Hotel And Restaurant? A private bathroom and TV are featured in this room. Simon, Heather, Charles and The Team look forward to welcoming you to stay at The Edgemoor. The Edgemoor is Family owned and operated and has been since 2009. The Hotel once a Victorian Boarding School Offers a relaxed environment with opportunity for you to re-charge your batteries, located only minutes from the Dartmoor National Park we look forward to welcoming you to stay with us. We welcome Four legged friends too! House Rules The Edgemoor Country House Hotel And Restaurant takes special requests – add in the next step! All children under 16 years are charged GBP 20 per night for extra beds. Any additional older children or adults are charged GBP 20 per night for extra beds. The Edgemoor Country House Hotel And Restaurant accepts these cards and reserves the right to temporarily hold an amount prior to arrival. For the comfort of all, the hotel operates a no-smoking policy throughout. All our expectations were exceeded. Friendly staff, clean and comfortable rooms, great dinner and breakfast. All in a beautifull location. The hotel being in darkness when we arrived back at 9-30 and the bar not open. The electrics for the bedside lamps also went off one night. Owners & staff were so welcoming. Food was 5⭐️ . Hotel was clean, comfortable lovely open fire and plenty of parking. The hole break made us feel so relaxed which was due to all the above. The online booking went askew but it was corrected when we arrived. 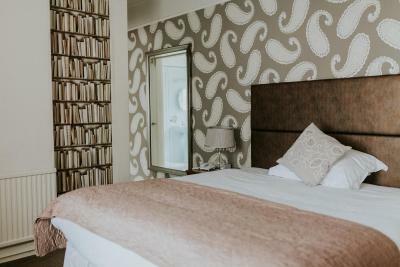 Nice room, comfortable beds, great breakfast - varied menu and cooked to order, local produce and no dreaded 'cooked buffet'. Didn't eat in of an evening as visiting family but am confident food would be good. Beautiful gardens, great location quite near the motorway if you want a stop-off, and right on the edge of Dartmoor about a mile from Hay Tor. Winter visit and hotel was warm.